Dateline: Hey Shane, have a second? 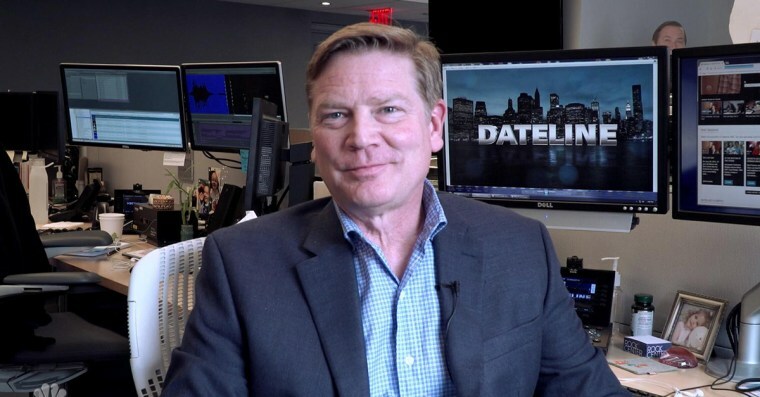 Shane Bishop, Dateline producer: Sure. Shane: It happened in a town a couple of hours from where I live in Oregon. Shane: It involves a kidnapping, a murder, another kidnapping, a shooting, a carjacking, questions about a serial killer, and it’s probably one of the most powerful and saddest stories I’ve ever produced. Shane: We shot interviews in this place called The Great Hall in Sunriver, Oregon, which was built as a U.S. Army officer’s club in 1941. It had some of the most beautiful wooden architecture I’ve ever seen. Shane: There’s a twist about a police officer, but there’s just no way you can see it coming. Dateline: What’s the best thing about working on a story with Keith Morrison? Shane: (chuckle) How much time have you got? No. He’s exactly the same guy that you see on TV every week.